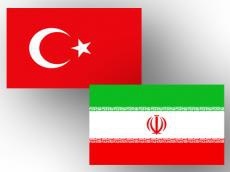 Turkey and Iran will conduct joint military operations against the militants of the Kurdistan Workers’ Party (PKK) terrorist group, said Iranian Deputy Interior Minister Mohammad Hossein Zolfaghari, Trend reports March 18 with reference to the Iranian media. He said that the PKK is a threat to everyone. He added that there are no problems on the Iranian-Turkish border. On March 6, Turkish Interior Minister Suleyman Soylu said that Turkey and Iran will conduct joint operations against the PKK terrorist group. The conflict between Turkey and the PKK, which demands the creation of an independent Kurdish state, has lasted more than 25 years, claiming more than 40,000 lives. The PKK is recognized as a terrorist organization by the UN and the EU.